B - 3 / 58 Safdarjung Enclave, New Delhi - 110029, India. Established in 1981, Veera Developers Group has evolved as one of the fastest growing real estate development companies in India. With the primary business being development of properties in residential, commercial and retail sectors, the company's operations span across various aspects of real estate development, such as land identification and acquisition, project planning, designing, marketing & sales, project execution, property services and estate management. The company's mission as a real estate development company is "to delight customers by providing quality life spaces through continuous innovations". The core objective of Veera group is to create a real estate development business that offers world-class property development skills while maximizing financial returns. The company is recognized for its quality construction, ethical and transparent business practices, and high standards of maintenance of properties. 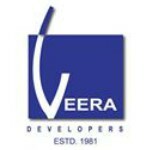 Veera group has pioneered the concept of property development by corporates in India. Today, Veera enjoys the unique position of having large in-city real estate properties in major metros and mini metros. Further, the company enjoys the virtue of having huge land banks in Delhi, Goa, Gurgaon, Noida, and Alwar and is presently acquiring large land parcels across the country. As a comprehensive real estate developer of choice, Veera group straddles across all consumer segments from value housing to luxury housing. The company has a diversified portfolio of more than 2.5 million square feet under various stages of development. Veera Group has taken up the cause of environment by committing to develop certified green buildings, thus, saving energy for the country. The first green development to be executed under this norm was VeeraBuros- Delhi's first certified Green Development by the Griha Council.